The March 2019 SFV Audubon meeting welcomes the Mono Lake Committee’s Lead Naturalist Guide, Nora Livingston, as our presenter. She is a passionate naturalist who got her interpretive start as a Mono Lake intern in 2008 and went on to do seven years of seasonal ornithological work in the most beautiful corners of California. Her studies included the Island Scrub Jay on Santa Cruz Island, migratory songbirds on the Farallon Islands, the California Gull colony at Mono Lake and bird life in the Eastern Sierra. At the Mono Lake Committee, she leads natural history field seminars and custom birding and ecology trips, as well as co-organizes the Mono Basin Bird Chautauqua, and leads many popular birding field trips for the festival as well. It is her utmost joy to share her love of birds and nature with anyone and everyone, to help foster a deeper respect for Mono Lake and this unique planet we live on. 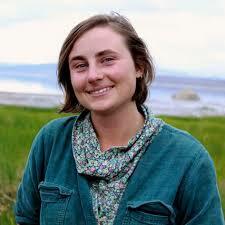 She will talk about Mono Lake, the bird populations there, and what is presently happening with the lake.